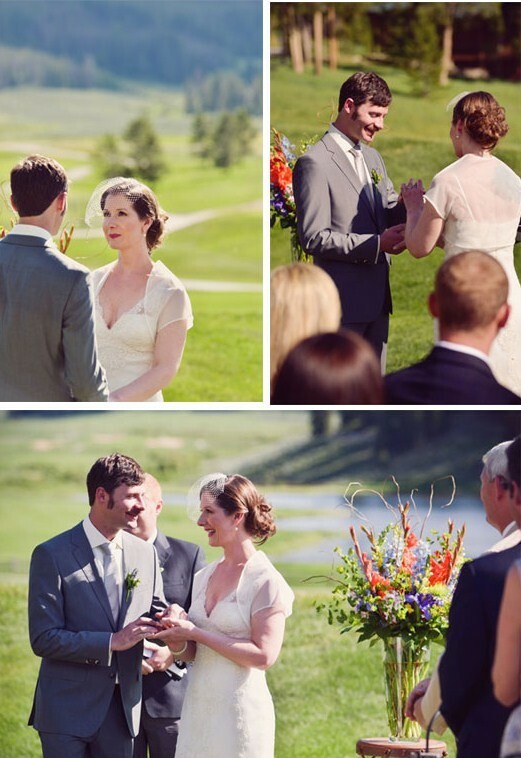 Summer in the Colorado mountains is a perfect time for an outdoor wedding. It is not too hot, the sun is warm, and the scenery is gorgeous. Our bride Anne wed Jeremy in Keystone, Colorado on July 3rd, 2012 at the Keystone Resort. Her gown is by Pronovias. 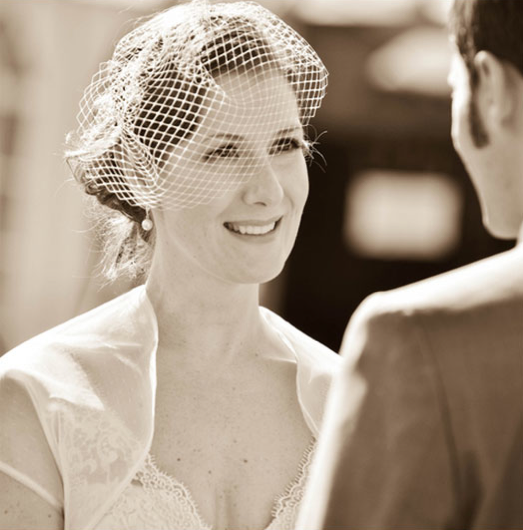 She looks beautiful in the fitted lace gown with a sheer bolero and birdcage veil. 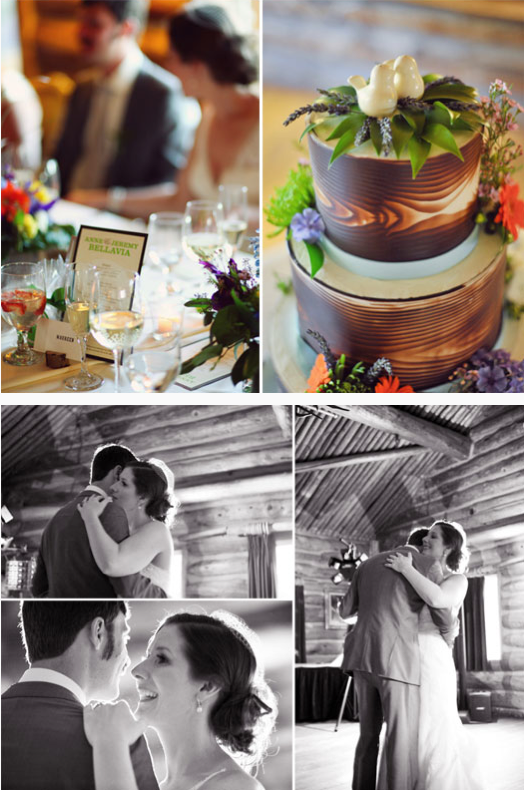 The wooden cabin, colorful flowers, and the green scenery create a fairytale, vintage wedding to celebrate a beautiful couple. Congratulations Anne and Jeremy! 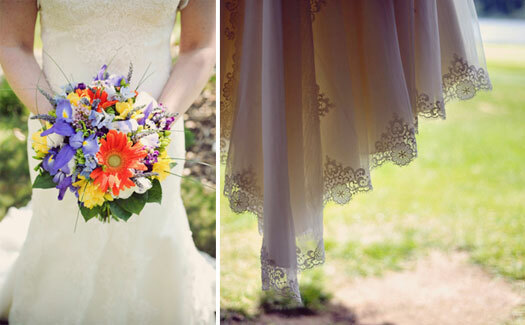 The full wedding details and more pictures are available at Colorado Weddings Magazine blog online. Wen you know, you know. When Anne and Jeremy met through Match.com, it didn’t take long before Jeremy was popping the question in Maui. When you see them together, their eyes light up and you know exactly why they belong with one anther. With such amazing chemistry, just goes to show, good things come to those who wait.